You are currently browsing the tag archive for the ‘diadem’ tag. 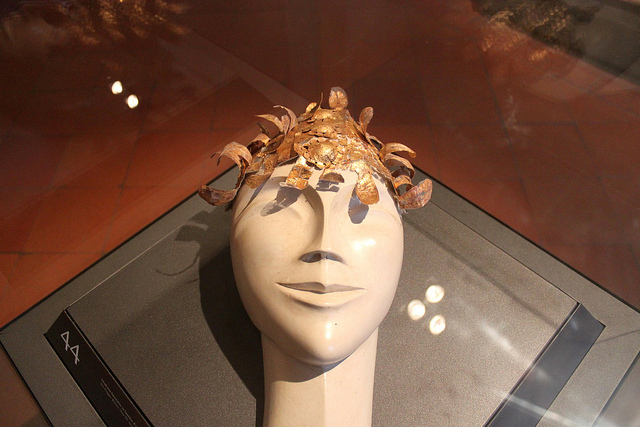 Today’s post features a true oddball in the world of royal headpieces. This strange yet compelling crown is “the diadem of the stars.” It was made in 1863 for Maria Pia of Savoy, wife of King Luís I of Portugal. Although the piece was made in the mid-19th century its minimalist lines and weird geometric pentagons have a distinctly modern appearance. I love space art (a category which I will reluctantly go ahead and put this crown under), but I am not sure I care for the diadem’s look in comparison with more traditional arch-and-cross type crowns. The white. pink, and yellow diamonds do make me yearn for the stars though (a feeling which I wish more of us would embrace) so maybe the Queen Consort was onto something. Here is a diadem made of diamonds from 1904. It was created by Chaumet during its glory years under Joseph Chaumet (who remade the 18th century jewelry house into an international boutique). Chaumet was an artist who looked for inspiration in unexpected sources, so this crown of diamonds is made to look like the stalactites in a cave, dripping with scintillant water. The piece was originally owned by Louis Cesar, Marquis of Lubersac, who was an esteemed senator of the Third Republic. He commissioned the piece for his daughter-in-law. It is so beautiful against a black velvet background, but I wonder if it is annoying to wear! 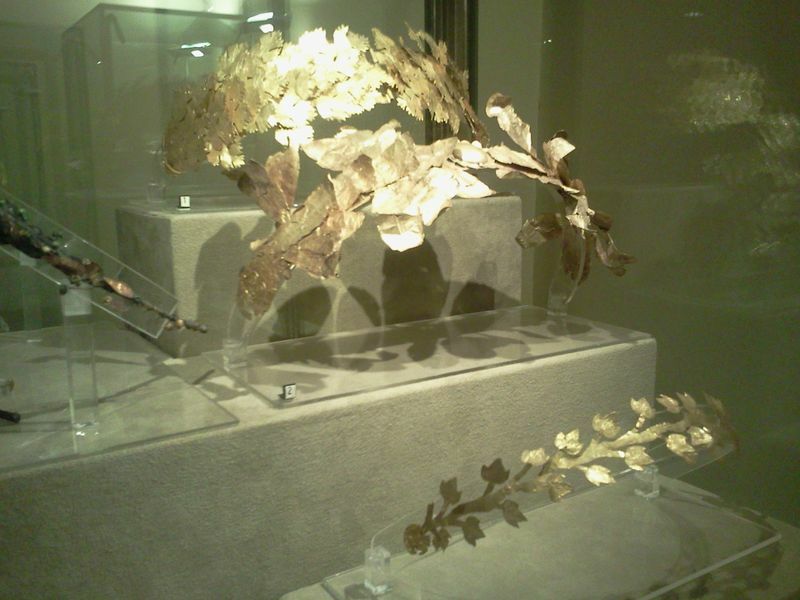 Here is the so-called “Palo diadem” a golden diadem manufactured by Greek goldsmiths who worked in Taranto in southern Italy (in Apulia–Italy’s “bootheel”) in the 3rd century BC. The wreath was probably discovered in one of the Lacrasta tombs—noted burial sites from Hellenic Apulia. The piece entered the Louvre collection when it was purchased by the second emperor of the French, Napoleon III, nephew and heir of Napoleon Bonaparte—so its modern history is every bit as interesting as its ancient creation. 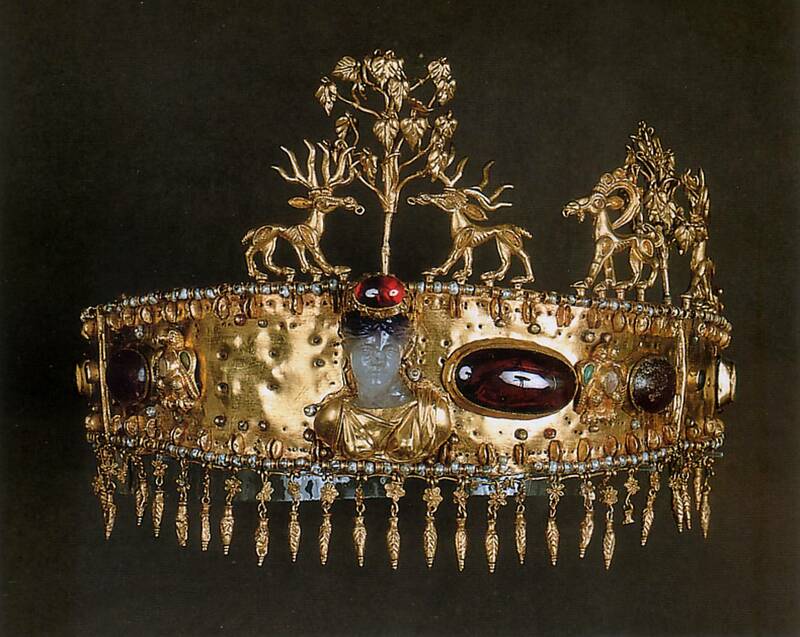 This sort of diadem was worn in Hellenic society by women only, and served a purely decorative purpose. 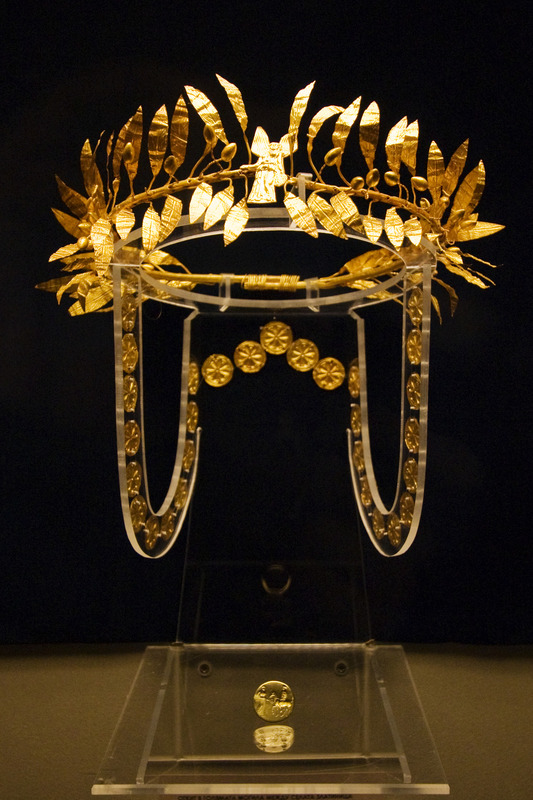 Numerous examples have been found from across the Greek world during the time of Macedonian ascension, however this little crown is especially finely made and well-preserved. The headdress is a masterpiece of the goldsmith’s art and consists of extremely fine gold filigree–wire twisted into the shape of intertwined vines, rosettes, and flowers like metal lace. The floral highlights are painted in blue enamel and there are little glass berries made from green, blue, and white pâte de verre. The goldsmiths of Taranto were the master jewelers of their time. Their work was exported around the Hellenic world, but this diadem seems to have stayed close to home until Napoleon III purchased it. The piece inspired a resurgence of gold filigree work among the 19th century jewelers of Italy and France. 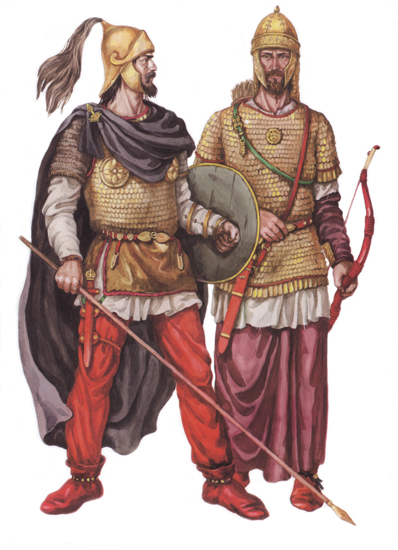 The Sarmatians were a confederation of warlike steppe nomads who flourished on the Pontic-Caspian steppe between the 5th century BC and the 4th century AD (the Pontic-Caspian steppe stretches from the northern shores of the Black Sea to the eastern coast of the Caspian Sea). Archaeologists believe the Sarmatians were an Iranian people who worshipped gods of fire–a cosmology somewhat akin to that of the ancient Persian Zoroastrians. Perhaps you will notice that I have given Sarmatian culture a somewhat loose date range of about a thousand years, and placed them in a vague—but vast–geographic region approximately the size of North America’s Great Plains. This is because the Sarmatians are indeed mysterious. 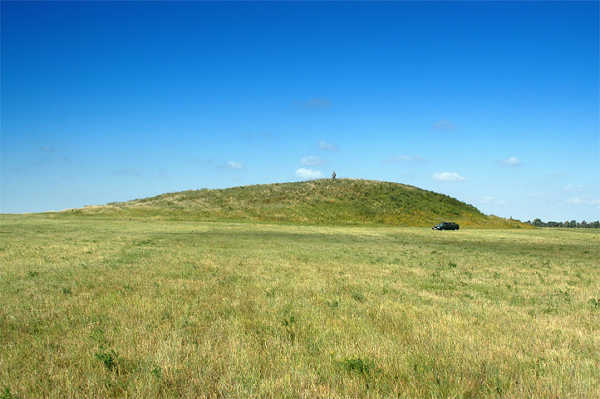 What is known about them comes from unreliable historical accounts from classical antiquity or from excavations of their kurgans (burial chambers covered with earthen mounds). Though built around an ancient Persian kernel, Sarmatian culture seems to have picked up elements from the diverse societies around the Pontic Caspian steppe. Sarmatian artifacts recovered from excavations betray influences from Scythian, Hellenistic, Roman, Siberian, and even Chinese sources. 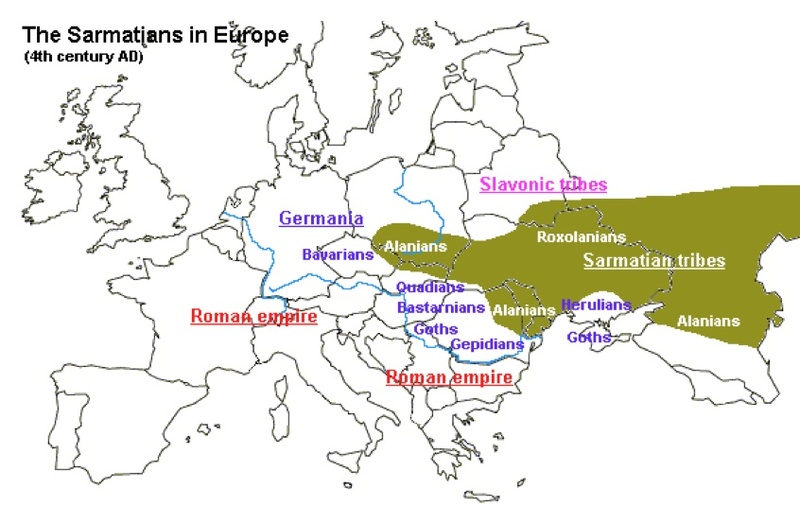 It is quite possible that the Sarmatians did not just pick up ideas from these cultures but assimilated people from them as well. Historians and archaeologists have been arguing about whether the Sarmatians were even a distinct culture at all, or whether it was many different peoples with different histories (hence the use of the word “confederation” in the original description up there at the top). What seems certain is that they were fierce horse-warriors. Some of them raided and traded whereas others settled down and picked up agriculture. Their ways of life endured—as did their political hegemony—until the great upheavals and migrations of the 4th century when they were wiped out/dispersed/intermingled by Ostragoth and Hun hordes. I am going to leave the ins-and-outs of defining culture to anthropologists and instead show you a magnificent Sarmatian artifact which directly illustrates the remarkable syncretism of their world. 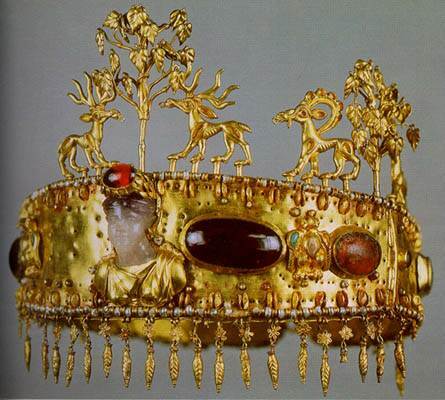 Here is a Sarmatian diadem which was discovered at the Khokhlach kurgan (which was excavated near the modern town of Novocherkassk). The crown is a principle treasure of the Hermitage Museum–which does not lack for great treasures–but some of the details of its modern provenance have seemingly been muddled by the upheavals of modern Russian history (which seems appropriate). The golden headdress presents magnificent deer and ibex gathering around a central tree of life. A Hellenic-looking head carved of semi-precious stone has been incorporated as a centerpiece. The piece is studded with pearls and cabochons of amber and garnet. 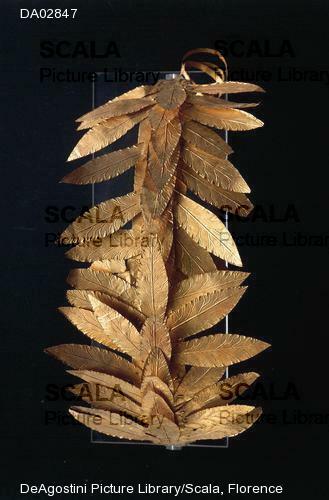 Ornate golden leaves hang down from it as pendants. The diadem is exquisite, but at first glimpse it seems to exist outside of human culture—like it came from some strange fantasy realm. Only by carefully studying its individual components does it suddenly take on a coherent historical identity of its own. I wish we knew more about the Sarmatians from written sources, but I feel we know a great deal about them, just by looking at this beautiful blended crown. Thanks to metal mines which provided iron and copper to buyers all around the Mediterranean, the Etruscans were very wealthy. The murals from Etruscan tombs make it abundantly clear that they also liked to enjoy all the luxuries which wealth makes possible. This love of opulence combined with their mastery of art in an unrivaled tradition of goldsmithing. The Etruscans were master jewelers (and the unique beauty of their pieces regularly spawns modern Etruscan jewelry revivals). 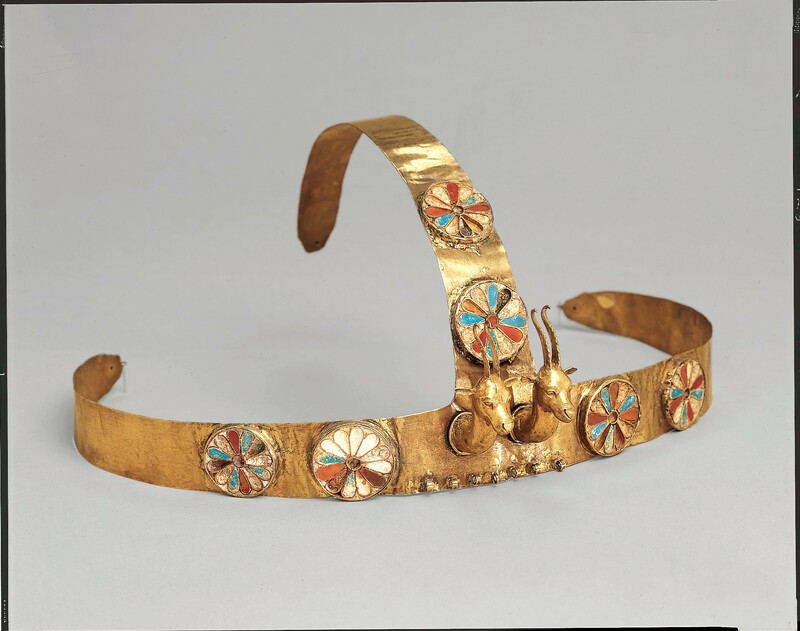 Among the pieces frequently discovered are beautiful gold crowns and diadems in the shape of leaves, berries, acorns, waves, and geometric patterns. The Romans were well known for their love of crowns and golden wreaths–which marked various triumphs, victories, or successes. 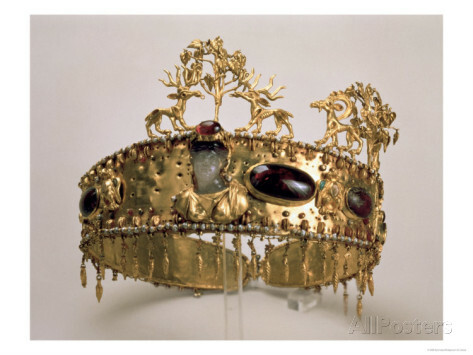 It seems likely that the Romans took this trait from the Etruscans (although the Etruscans may have copied these crowns from Greek or Middle Eastern antecedents). I found these photos of beautiful gold headdresses around the internet. Since the pieces are in such fine repair (and so numerous) I suspect they are from Etruscan tombs. Look at how subtle and elegant the goldsmithing is on some of these crowns. Etruscan craftsmen were famous for their mastery of various stamping, hammering, molding, and filigree techniques (which are very much in evidence here). In the years after the Etruscan tribes developed into sophisticated states (but before they became crude republics) political power fell into the hands of various kings and tyrants. These strongmen may have marked their political ascendency with crowns and tiaras. 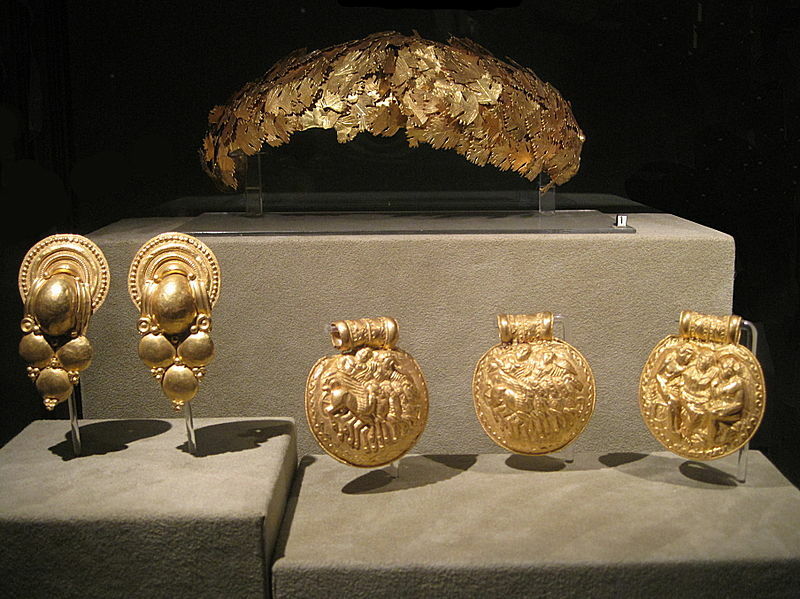 It also seems likely that Etruscan nobles wore such adornments for sacred occasions…and to show off their wealth and status. Carnelian is a deep reddish brown semi-precious stone. It is a variety of chalcedony (which is itself an intermixture of the silicaceous minerals quartz and morganite—with a dash of iron compounds for color). Carnelian has been popular since the dawn of civilization for jewelry and for manufacturing objects such as beads, seals and signet rings. Here is a headdress from the tomb of the three queens–a grave which held three foreign born Semitic princesses simultaneously married to Pharaoh Thutmose III (c.1475-1425BC). The red slivers on the rosettes are made of carnelian (as were many beads and inlays from ancient Egypt). Carnelian is widely available and popular in all sorts of ornamental objects up to the present day. Carnelian is also the name of a deep brownish red color. Today the color carnelian is also known as Cornell red, since it is the official color of Cornell University. A diadem is a headband made of precious metal (frequently ornamented with jewels or designs) which betokens royal sovereignty. 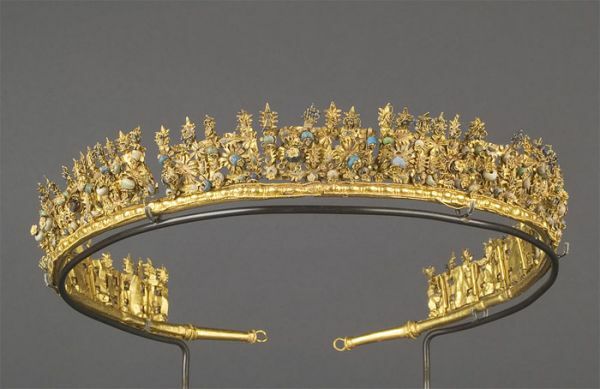 Diadems trace their origins deep into antiquity—the form probably originating in Mycenae and Persia. 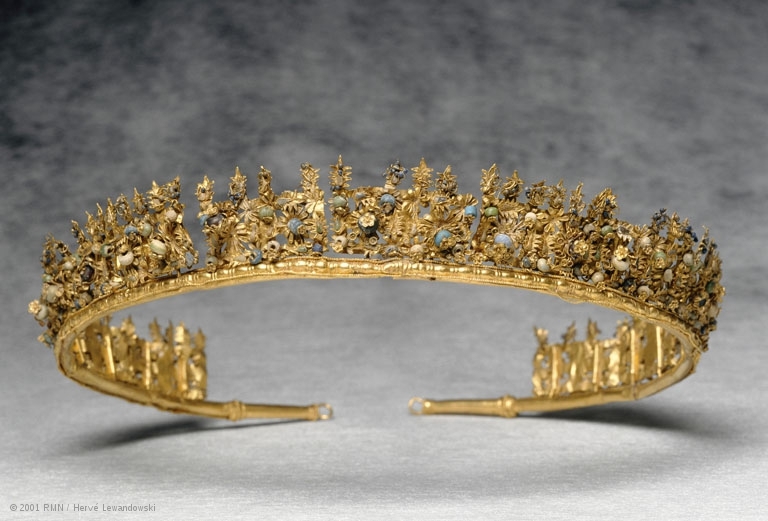 The diadem soon became associated with classical Greece culture and thus the concept survived for a long, long time. 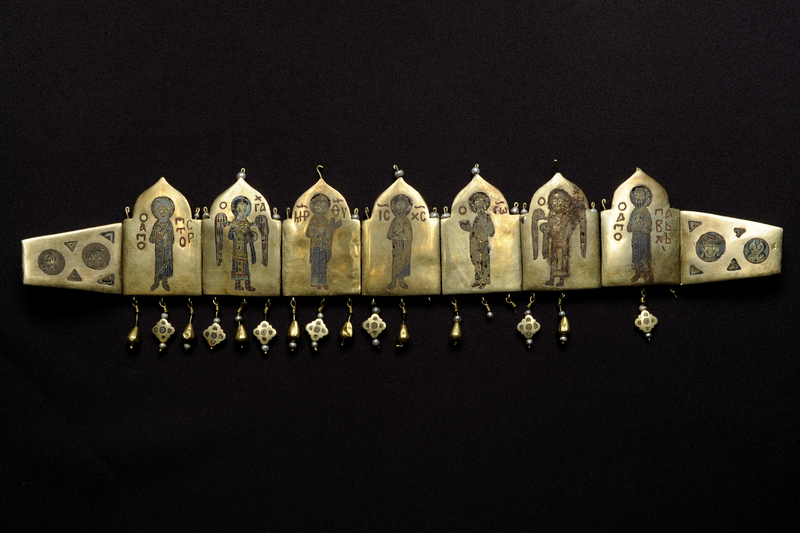 Here is a Byzantine-era diadem discovered in Kiev during an archeological excavation in 1889. It is composed of gold plaques with enamel paintings. The central three plaques show the Virgin and St. John the Baptist supplicating Christ on behalf of humankind. Around them are the archangels Michael and Gabriel as well as the apostles Peter and Paul. According to the Louvre website concerning Russian sacred art, “The presence of Cyrillic letters would seem to confirm the diadem’s attribution to a workshop in the principality of Kiev, home to both Greek and Russian goldsmiths.” Byzantine cultural and political influence reached deep into central Europe during the 12th century when this regal headdress was manufactured: it is easy to see the piece as a bridge between the Eastern Roman empire and the burgeoning Greek-Orthodox kingdoms and principalities of Russia, Kiev, and the Ukraine. 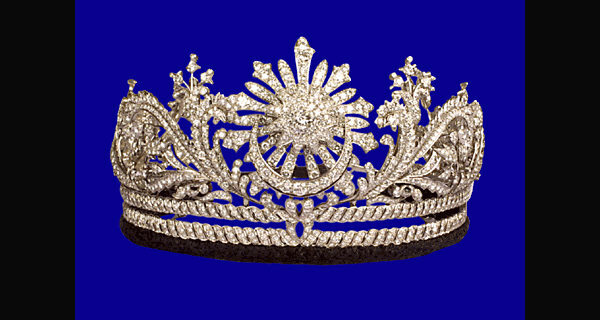 Known as the “Gandik Diraja”, the crown of the Queen of Malysia is a diadem made of diamonds and platinum. The crown centers around a large diamond star and crescent which are surrounded by abstract “awan larat” designs. The crown is also a transformer and can be taken apart to form a locket and a set of brooches (if wearing a crown seems to ostentatious, and the queen yearns for the modest elegance of, you know, huge platinum diamond brooches). In 1984, the Gandik Diraja was created from a previous version by Garrard jewelers, an ultra-luxury jeweler in London. Malaysia has an unusual version of monarchy in which the king (or more properly the Yang di-Pertuan Agong) is elected every 5 years from among the rulers of the nine Malay states. The Gandik Diraja therefore gets passed around a lot! It was designed to be bland (well, bland for a huge jeweled hat) so that it would go with many different outfits and suit the varying tastes of lots of different royal consorts. The tiara is accompanied by the Kalung Diraja, a large diamond and platinum necklace which unaccountably looks like echinoderms or spiders. Just like the diadem, the necklace can be taken apart and worn as earrings and brooches. Who knew that Malysian royalty had such a penchant for brooches?